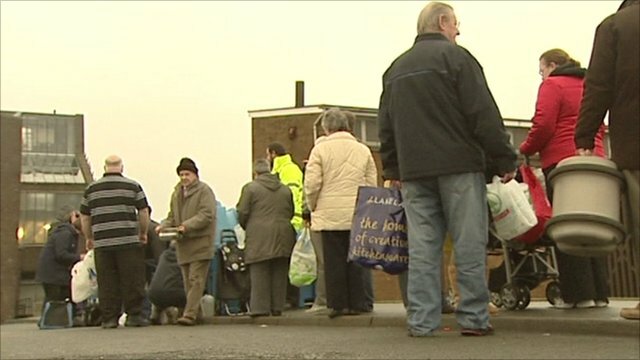 Queueing for water in Belfast Jump to media player About 36,000 people across Northern Ireland struggle to cope without water as officials warn the crisis could continue for several days. The Northern Ireland Executive is to hold an emergency meeting on Thursday to discuss why thousands of people have been left without water, many for more than a week. Northern Ireland Water says 40,000 homes and businesses are now without mains supplies because of burst pipes and have warned that the disruption will continue for several days. 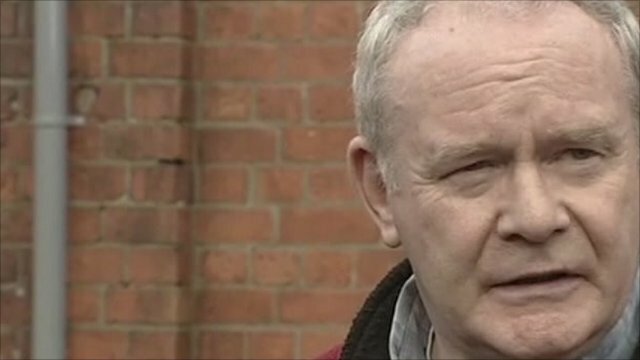 The Deputy First Minister, Martin McGuinness, called the situation a 'grave crisis'.